All businesses involved in the manufacturing, maquila and assembling activities can be incorporated in the Peruvian Special Economic Zones i.e., in the Centers of Export, Transformation, Industry, Commercialisation, and Services (CETICOS) region. 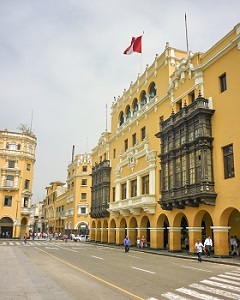 The companies benefit from the complete exemption from paying of i) corporate taxes; ii) VAT; iii) excise duties and iv) other fees and contributions that are otherwise levied by the Peruvian government. Peru is one of the largest producers of coca, the raw material for Cocaine. As a result, drug cartels and associated violence often take place in the country. Most of the drug trafficking in Peru is supported by the communist revolutionary group of Shining Path.